2010 was a bit of a revelation for me. Many of my favorite genre authors were without a new release or had them pushed off for another year, which left me looking at a lot of authors I've been meaning to try and also lots of discoveries and saw a decline in reading Epic Fantasy than in years past. 2010 also turned out to be the year of the Cross Genre book coming more to the forefront, which would include New Weird reads and many that probably would have gone under Epic. 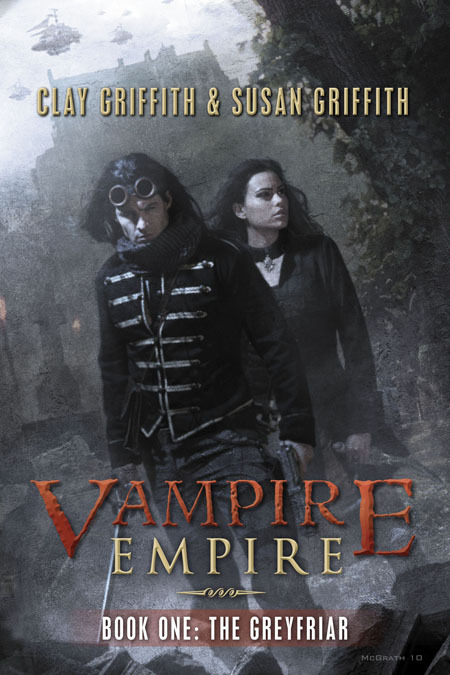 This is also the year that Steampunk has come into its own and no longer belongs with Sci-Fi where it has been for so many years, but as a genre all on its own. So without further preamble here are the best books I've read this year. 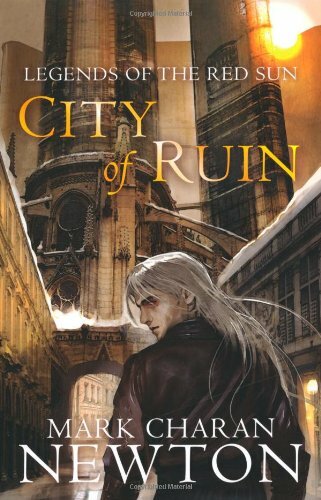 Urban Fantasy is always a tough one to judge especially since many books that are considered Epic and High Fantasy occur in a city of some sort. For this I generally go for the more rigid definition of a work placed in present times in an Urban environment although I still eschew most Paranormal Fantasy. As my list shows my tastes for UF lean towards the more male or harder edged stuff, which Kill the Dead had in spades. Kraken is probably Mieville's weakest book to date what with the haphazard and fractured-ness of it all, but still shows what a genius he is and that yes, he can have a good time. 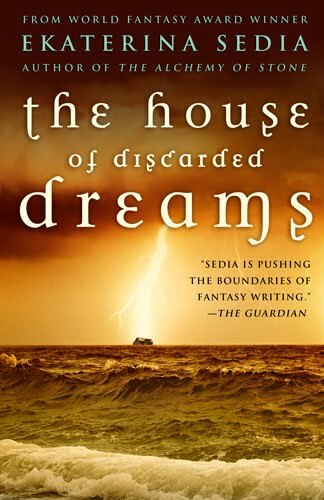 Sedia's latest release The House of Discarded Dreams hasn't been getting many mentions, which is probably a product of its release schedule, but it certainly deserves more attention as she brings home the immigrant experience more than her other books have so far. The story dances in and out of mythology and Urban Legends in very unexpected and original ways. All in all it was a good year for Urban Fantasy with many books trying to break the mold and as with Butcher recasting what has worked so well up till now. I've long been a fan of series books. I like to get invested in not only the characters, but the world at large that has been created. I also like to see these worlds drastically change and that certainly came in spades with the new entreats this year. This year many new kids stepped up to start wild and vivid worlds with the two top both being debut New Weird authors. 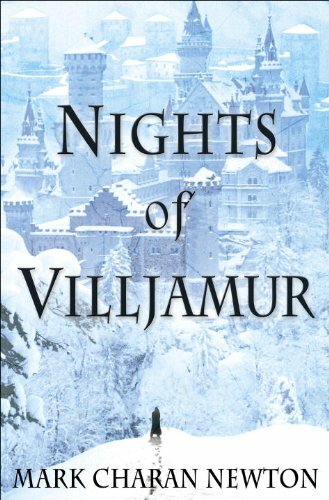 Nights of Villjamur really just hints at a lot of what this world is and has been that tantalizes like few book have. Newton made an instant fan with Villjamur so much so that I immediately had to lay my hands on the next book in the series, which raised the game to lofty heights. 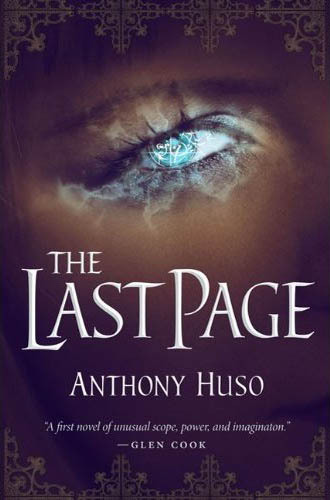 Huso's debut The Last Page seems to be a very polarizing book. Either you immediately fall in love with the style or it just turns people completely off. I fell decidedly in the camp of the former and couldn't get enough of this dark world. 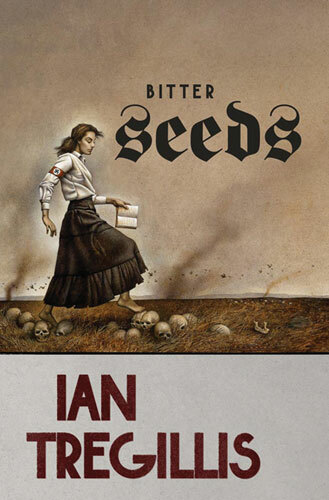 Bitter Seeds is a melting pot of genres bringing together Sci-Fi, Fantasy, and Alternative History seamlessly. Sanderson brought the Epic with The Way of Kings while only giving us a glimpse of what his world has to offer. Fforde brings the brave new world in his latest series that finally steps away from the Thursday world. I was very trepidacious about him trying something new as I can't get enough of Thursday and her ilk, but Shades of Grey proves Fforde's imagination is limitless. This was a very competitive area this year, which shows just how burgeoning the genre on to itself has become. Not only are established authors venturing into the Steampunk fold, but many new voices are finding homes there. In the end I went for the fun factor as the decider here, which The Strange Affair of Spring Heeled Jack oozes. Priest's latest Clockwork Century novel took a bit to get going, but once it did not even a 10 ton locomotive engine couldn't have stopped it and we get more closure on some of the characters we loved from Boneshaker. 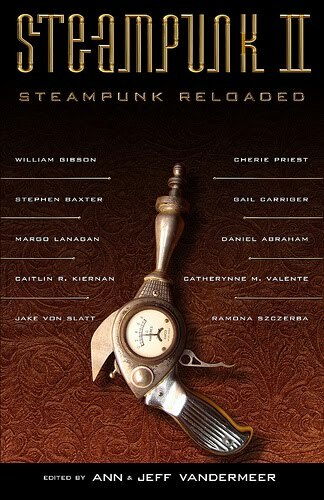 But with the Steampunk we've also seen the resurgence of Weird West. 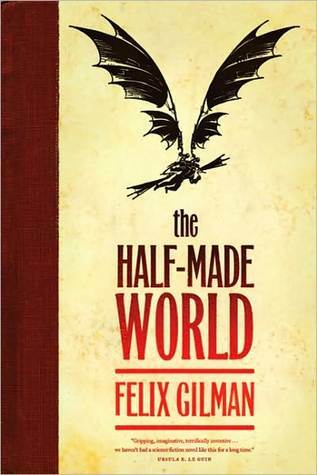 The Half-Made World was about as surreal a world as you'll likely fine with Gilman giving us a Western like no other before in a world that is still settling into reality. 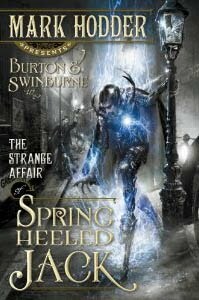 The VanderMeer's second Steampunk anthology is much stronger with the first for it gives us many more examples of the styles that exist in the genre while also giving a good world view of the movement beyond the literary. My favorite novels this year were invariable those that weren't afraid to create something new by melding all genres. I think it would behoove publishers to leave the New Weird name in the dust and simply refer to these novels Cross Genre as that area seems to be growing with the likes of Ken Scholes laying the groundwork the last couple of years. Newton's City of Ruin simply blew me away. He built the world so well with Nights of Villjamur and than went and changed the game completely in exciting and strange ways. While Huso brought in Horror, Sci-Fi, with a Fantasy feel into strangely beautiful yet grotesque places. 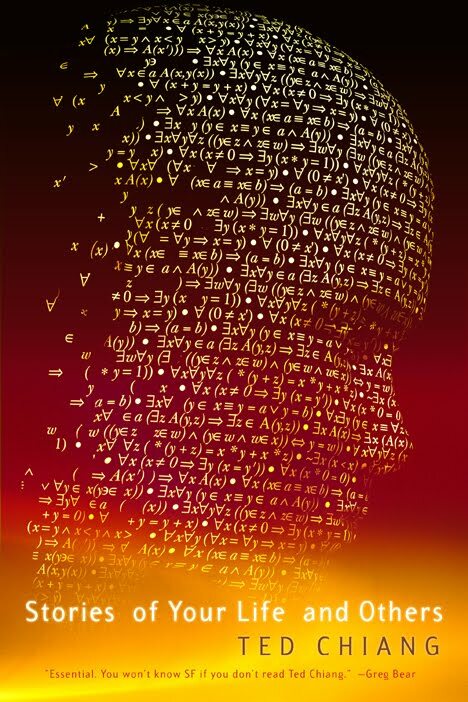 Ian Whates is another debut author who hasn't been getting mention many places and while his style isn't as devious as Newton or Huso his world-building is an intense affair. City of Dreams and Nightmare envisions a city size building of 100 floors where different sects live on each level that has been built over thousands of years. The first novel merely sets the stage for some odd happenings that are sure to fill-in this world. I've never been ashamed to admit I'm a vampire fan. And while I read many Vampire related books this year there were only two standouts that used these creatures in new and interesting ways. 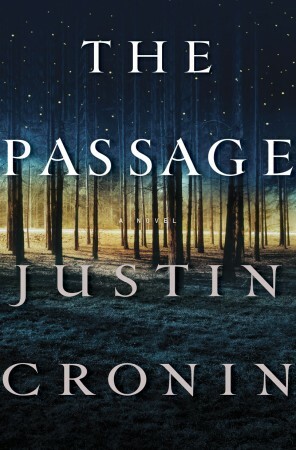 The Passage has an vampire epidemic of Epic proportions and feels very much like a Stephen King novel in all but name. Time will tell if Cronin can make the complete trilogy as strong, but he has a knack for working in the human factor and making you care about each and every character. The Griffith's The Greyfriar took me aback because I didn't expect to like it nearly as much as I ended up. One normal strike is the Romance aspect, but the pulp sensibilities just overtook the narrative and provided a few hours of enthralling reading pleasure. If you're just looking for a good time The Greyfriar will provide that much needed escape in a very well stylized world. I'm one of those readers who needs to jump around in not only style, but temperament. Too many melancholy or dark books can often push me in to dark place so some levity needs to be injected every now and again. Jasper Fforde can always delivery the laughs with his trademark wit and turn of phrase and while Shades of Grey is not as light-hearted as his past books there is still plenty to snicker at. Gail Carriger's Alexia always seems to get herself in outlandish situations, but it is her dialogue both internal and external that brings the wit to no end. If you can get through a Parasol Protectorate novel without laughing you've got issues. Martinez is getting to be known as the American Pratchett. While I still wouldn't put him at the same level he sure can create some odd circumstances placed in a reality close to our own and fill them with amusing and breezy language. Charles Yu just blew everyone else away this year. His debut novel is nothing short of a wonder. The way the story is constructed it shouldn't work, but does on many levels because of the skill and sweat Yu imbued into a heartfelt story that also mixes in mind-bending paradoxes and also a dark self-effacing humor. 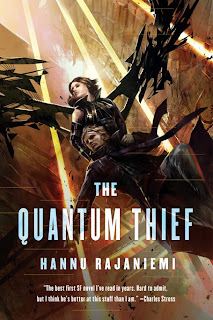 I've already talked a bit about Shades of Grey so I'll skip that as it is the new voices that are dominating the Best Books this year with Hannu Rajaniemi displaying strong skills at not only hard Sci-Fi, but also at creating an action packed caper. While not a perfect novel it showcases Hannu's vivid imagination. I felt like I missed out on a lot of anthologies this year, but most of those that I did take part in brought a lot to the table. 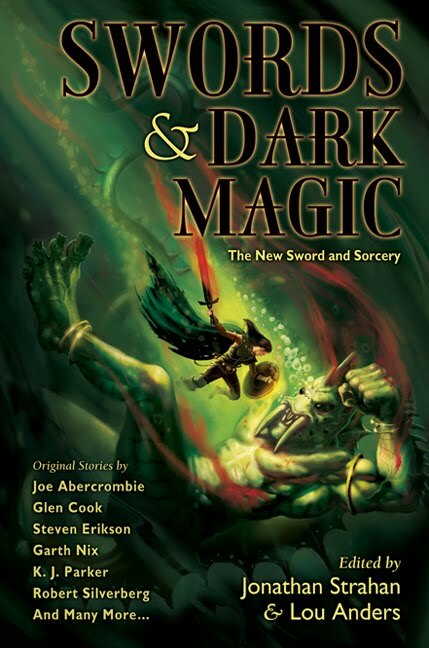 Swords & Dark Magic gave a fairly complete view of where the genre of Swords & Sorcery has been and where it is going with a few truly exceptional stories, by many of my favorite authors. The New Dead does about the same thing with zombies with many haunting tales. The Joe Hill twitter story still gives me the creeps when I think about it. The Clockwork Jungle Book was long in gestation, but it was worth the wait as it introduced me to the beautiful prose of Shweta Narayan and provided no end of fun stories involving wind-up and steampowered animals. This is a bit of a cheat as it is a reissue, but it also wins by default as it is the only single author collection I read this year despite Kim Stanley Robinson, Kristine Kathryn Rusch, Mary Robinette Kowal, and Ken Scholes collections all hanging about. That is not to discount Stories of Your Life and Others as it is now possibly my favorite collection of one author's work and ranks with Neil Gaiman's Smoke and Mirrors as a collection I'll turn back to many times over the years. Chiang will awe you. Tor Books is my hands down winner this year. Tor blew me away with many of their debuting authors and breadth of styles. Between Huso, Tregillis, Rajaniemi and returning stars Priest, Sanderson, and Scholes they've pushed their bar a bit higher. This is especially heartening as only 5-10 years ago Tor barely registered on my radar except for some of the usual suspects in Epic Fantasy and truly shows how much they have been trying to broaden their own horizons. Joe Hill took me by surprise this year. 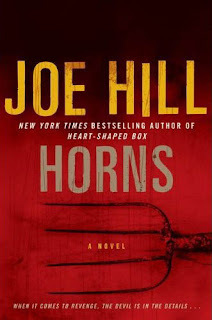 I read Heart Shaped Box and was very underwhelmed and wasn't at first going to read Horns, but after reading the first couple of pages I was hooked. Hill has crafted a tale of redemption, horror, and heart that is nearly peerless. Horns is the most touching and heart-rending book I've read all year and even if you aren't a Horror fan is well worth checking out. Hill's adeptness at characterization and dialogue is some of the most believable prose you'll find in modern literature. This list acts as a best of the best short list as well. These are the books I'll turn back to in the future whenever I need something that won't disappoint or I need a recharge of some sort. There weren't too many let-downs this year for me. But I have to say my first novel taste of Alastair Reynolds, Terminal World, certainly soured me on him a bit yet I still intend to read some of his older work. Paul Hoffman's much touted The Left Hand of God started off so strongly and than degenerated into something not all that special. George Mann's Ghosts of Manhattan could have also been better in a lot of ways despite enjoying it for what pulpy fun it was. I was also mildly disappointed in Antiphon since I loved Ken Scholes's first two Psalms of Isaak books Lamentation and Canticle, so very much and have been talking them up to friends nearly non-stop. This is not to say that Antiphon is a poor read. It still kept me interested in the narrative, but I just didn't like the way a couple formerly main characters were given such back seat roles for much of the story. You can still count on me being there for Requiem next year as soon as it is out. But for every disappointment there have been a dozen books I adored. So all in all I called this a great year for genre publishing with many new stars debuting. 2011 is looking very bright as well with these new voices and many of the masters all re-entering into the fray. Great list. 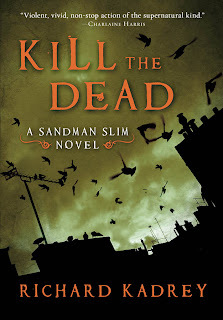 I'm reading Kadrey's Sandman Slim right now and really enjoying it, so I'm looking forward to checking out Kill the Dead in 2011. And while I haven't read Horns yet, I have a hunch you are spot on with it being in your top spot. Right now Dan Simmons' Black Hills is in my top spot, but there is a lot from 2010 I have yet to read. Glad to see you liked The Greyfriar. Clay and Susan are awesome writers. @Rabid Fox - I have to be in a very particular mood to read Simmons. I also need to know I have a lot of free time upcoming. But, yeah, Horns is damn good. @Jon - Can't wait to see where Clay and Susan take it from here. @Mark - Get back into your glass of whiskey so I can get more Legends of the Red Sun! Per your recommendation, I just bought Horns for my Nook. Can't wait to dive in after I'm finished with the excellent Kraken. What a great bunch of books. Glad to hear positive things about Ekaterina Sedia's latest. I'm a big fan of The Alchemy of Stone. I have How to Live in a Science Fictional Universe, Dreadnought, and Half-made World on my shelves waiting to read/finish. Sorry your experience with Reynolds wasn't a good one. I've been hearing that pretty consistently about Terminal World. My first experience with him was with Chasm City and it remains one of my favorite books of the last decade. 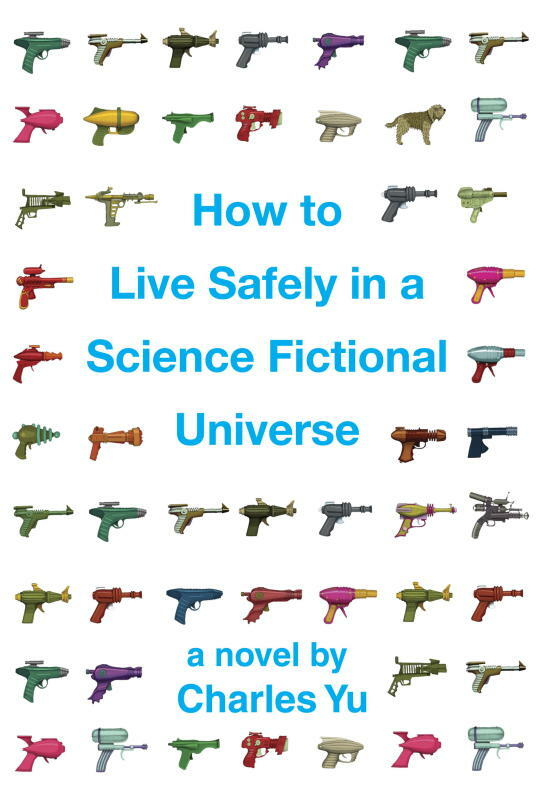 Great, rollicking space opera. Glad I found this post via your link back - I'm looking forward to what you come out with for 2011!